Today our prayers turn to women who are dying. Over the years, I’ve seen a lot of people die in nursing homes and the hospital. It’s never easy and it’s never pretty. 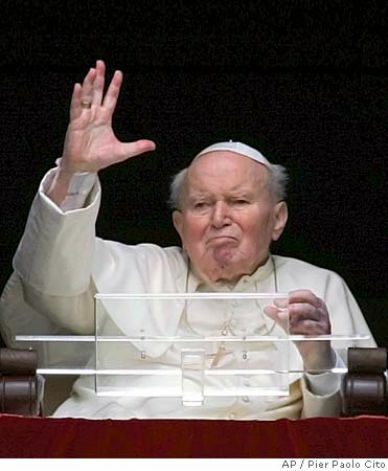 John Paul II in his final days on this earth gave us an example of dying with dignity. All to often, we just want to take people out of their misery. We want to end lives that are no longer useful to society. What we don’t understand, however, is that all life is sacred. All people have an inalienable dignity. 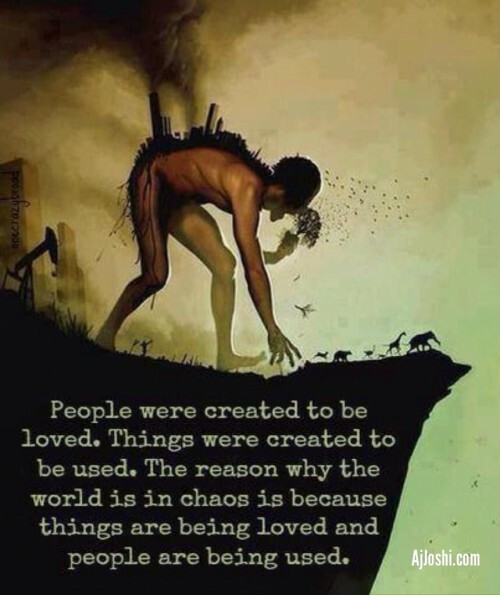 Lives don’t have value based on what use we can get from them. They don’t have value based on how much pain or stress they cause. In dying, John Paul II offered the world his strongest statement on the infinite value of life. Lord, be with those who are dying today. Let them know your love in their final hours to face their final transition with courage and grace. Give them the comfort of knowing that they will be leaving this world to meet You. Be with their families and caregivers. Give them the patience and strength to support their dying loved one. Give them, too, the comfort of knowing that they are handing their loved one off to You, You who are trustworthy and worthy of all praise. We ask all of this in Jesus’ name, Amen. In the “IT HAPPENED TO ME” section at XOJane, I recently saw a post by a woman who went to her doctor’s office for a new prescription of birth control. She had went to the office and filled out all the paper work. When she was called up to the desk, she was handed a form letter that stated that the doctor on call would not write prescriptions for birth control or refer anyone for an abortion. She had to go out of her way, although she admits not far, to find a doctor who would give her the prescription she wanted. She posted about all of this on Facebook. Her situation gained so much attention, her story ended up on the local news. Our conscience, well-formed, is to be our guide in everything. It seems that, at least in a few key areas, this doctor’s conscience is very well-formed. Please be advised that because of reasons of my own medical judgment as well as professional ethical concerns and religious values, I only provide one form of birth control, Natural Family Planning. In addition, I do not refer for vasectomies, abortions nor prescribe the morning after pill or any artificial contraception. If you are interested in the latter, please be aware that you may approach your own family doctor or request to be seen by another physician. Some patients also come to a walk in clinic for prescriptions of narcotics. The distribution of those drugs is controlled. Narcotics have a high potential for side effects, including addiction and they should be prescribed by a regular physician who is able to follow you. It is your responsibility to ensure that this physician will be renewing your prescription on time as I won’t do so in a context of walk in clinic. In her post on XOJane, she talks about this as a “radical” view. This only shows how much work still needs to be done in helping people understand where pro-lifers are coming from. If it’s “radical” to be against birth control and abortion, it only shows how far our society is from a true view of the dignity of each and every person. You don’t have to believe in Jesus to agree that Natural Family Planning is better than artificial birth control. This is evidenced in the growth of Natural Family Planning groups that are not faith-based like this and this (The later group does promote the barrier form of birth control. We do not condone that form or any form of artificial contraception.). It almost felt like I was doing something wrong. I felt truly embarrassed having to leave in front of a group of people because of something that someone thinks is shameful and not right. Shame is not the way to spread the truth. I can understand that in a public clinic, the doctor may not have had the time to sit down and explain his views to every woman who walked through the doors, but he could have at least put more information in the letter. Or at least sign it.